Oakland Mayor Libby Schaaf has zeroed in on education as a core priority. In an EdCast, we ask her why education is so central to her vision for Oakland — and about her ambitious program to get more city kids to college. When Libby Schaaf was elected mayor of Oakland four years ago, she was told to stay away from education because it was so hard to get anything accomplished. But she couldn’t. “You cannot ignore the most pressing issue [of a community] — that is, whether or not you are creating conditions for your children to grow into successful adults who are self-sufficient, who are prepared for life, community, and career,” she says. Determined to make some progress for the children of her city, Schaaf worked to combine several existing child-focused interventions into one. This effort resulted in Oakland Promise, a cradle-to-career initiative that aims to triple the number of college graduates within the next decade. From educating young children about college to creating the funding to help children afford college, Oakland Promise's ultimate goal is to increase college attendance. Though it’s still early in its implementation, the initiative is already showing some encouraging signs with a 14 percent increase in African American students enrolling in college. 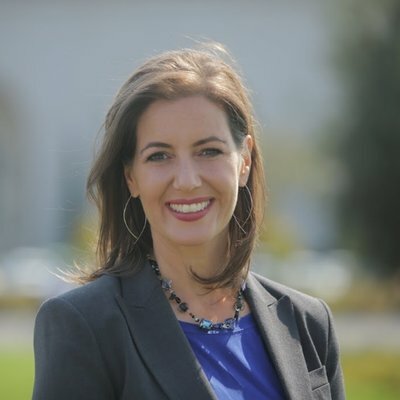 Schaaf has faced some criticism for giving so much attention to a program that may take a while to show results, especially in a city with many pressing problems requiring attention, but she remains steadfast. “I think every leader has got to carve out time and energy to plant the seeds that you will not see grow and bear fruit [during your term],” she says. “It’s these long-term bets … that have to fundamentally change the system” because the results may not be immediately evident. In Cambridge to participate in the Education Redesign Lab's 2018 Leadership convening, Schaaf spoke to the EdCast about Oakland Promise and her commitment to education. The Harvard EdCast is a weekly podcast featuring brief conversations with education leaders and innovative thinkers from across the country and around the world. Hosted by Jill Anderson, the EdCast is a dynamic space for discourse about problems and transformative solutions in education, shining a light on the compelling people, policies, practices, and ideas shaping the field. Find the EdCast on iTunes, Soundcloud, and Stitcher.